PRESALE TIX ARE SOLD OUT, BUT YOU CAN ALWAYS GET A TICKET AT THE GATE ON EVENT WEEKEND - $70 CASH ONLY STARTING 8AM FRIDAY. SEE YA THERE! Are you ready to get down and dirty again? 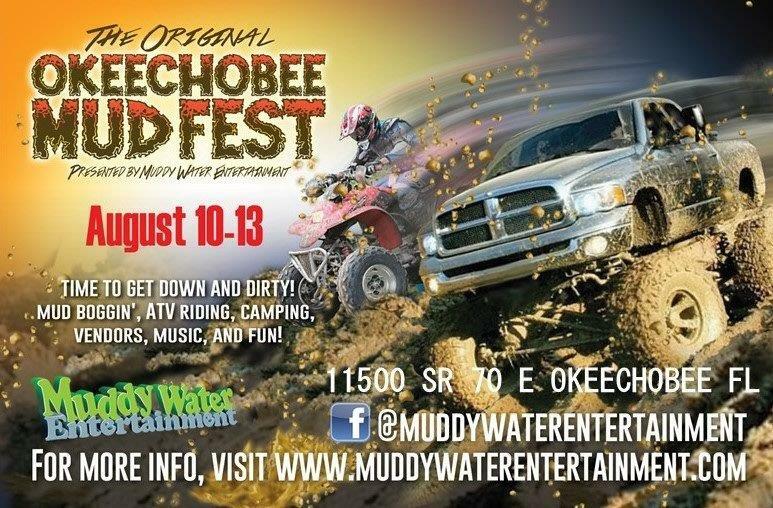 The Original Okeechobee MudFest is BACK, and we're bigger and better than ever! Hundreds of acres for riding, and the biggest Mud Hole in the South! It's a weekend full of riding, music, camping, vendors, food and...most of all.... MUD! To celebrate, we're offering these specially discounted tickets - save $$$ off the regular gate price, AND get into the park for FREE on Thursday night! 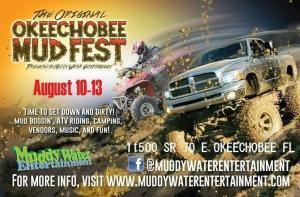 * So come join us at The Original Okeechobee MudFest, August 10th thru 13th. These tickets go on sale Monday July 10 at 8am FOR A LIMITED TIME ONLY! * Thursday night entry to the park is for camping and set up only. All riding will begin at 8am Friday morning when gates open for everyone. © 2019 ShowClix on behalf of Redneck Mud Park. All sales are final. Tickets are non-refundable.